Issues and Trends in Nursing: Practice, Policy and Leadership,Second Edition Includes Navigate 2 Advantage Access assessments, a full suite of instructor resources, and learning analytics reporting tools. 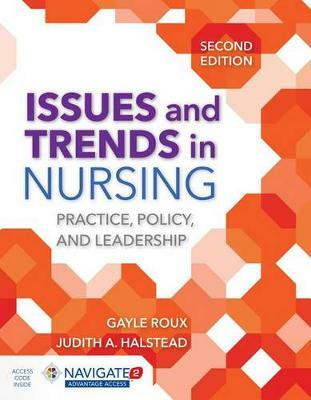 Issues and Trends in Nursing: Practice, Policy and Leadership, Second Edition focuses on teaching nursing students how to navigate the nurse-patient relationship including political policy, professional organizations, performance outcomes, emergency preparedness, safety, and global health issues. The text is written by expert authors that represent a variety of perspectives including educators, administrators, and researchers from diverse regions of the U.S. The Second Edition has been completely revised to include comprehensive coverage of current issues and trends in nursing and healthcare. The text also provides a wealth of resources to help prepare students for practice in nursing.